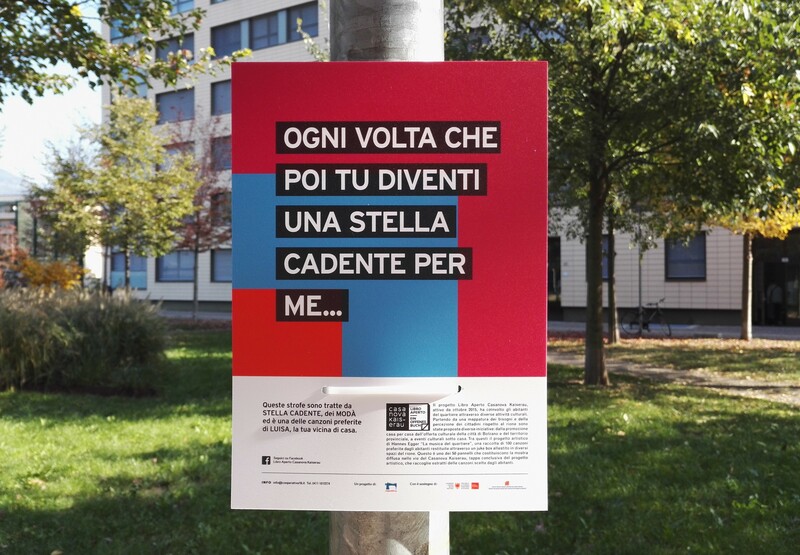 In October 2017, Hannes Egger asked one hundred residents of the newly built “Kaiserau” district of Bolzano about their favourite songs. These one hundred songs were collected in a jukebox and labelled with the names of the interviewees and not with the names of the musicians or the names of those who were unfortunate. Between November 2016 and May 2017, the jukebox turned into a tool for social interaction at various events in the district, inviting people to get to know their favourite songs. The same goal is also pursued by the exhibition at the street lamps in the neighbourhood. In addition to the names of the musicians and the titles of the songs quoted, the names of the people who have just chosen that song and “donated” it to the neighbourhood are also displayed.